There are a LOT of business books out there. Hell, I’ve written five so clearly the bar to clear isn’t that high. But rarely—very rarely—a book emerges that changes the way you think about books. And that IS a high bar to clear because the fundamental premise and packaging of a business book has been mostly unchanged for decades, with a few outliers like the “Dummies” series and its imitators and David Meerman Scott’s outstanding “Marketing the Moon” which is business book as coffee table book. I reviewed the book via Facebook live video recently, to give you a better sense of how X works and reads, and I’ll summarize the main points below. It’s not a book, it’s an app made out of paper. The color is stunning, the printing is superb, and the custom graphics are remarkable. As an author, I’m peanut butter and jealous. “X is a complete overview of why customer experience is the fundamental differentiator in business. If you have customers, you have to get serious about this topic NOW. I loved the great coverage of customer touch points and journey mapping. That information alone is worth the price of the book. Plus, there are timely and relevant examples throughout that bring the concepts to life. 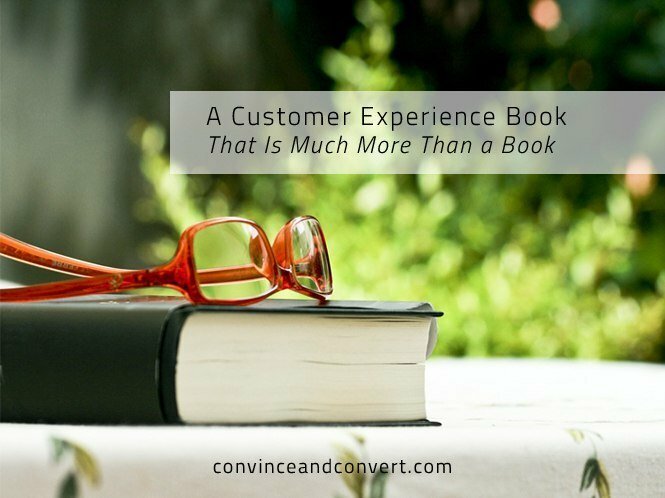 The book is organized like an app with concise sections devoted to a specific element of customer experience. As such, the book is easy to read in pieces, over time. I recommend you read two sections (6-8 pages) and then spend a few minutes considering how to apply the lessons to your own business. Then, dive back into the book. Brian Solis is a very smart man who isn’t afraid to push the boundaries of business thinking and future casting. His books can be challenging to absorb and digest. This is his best book, his most accessible work, and also the most important concepts about which he’s written.